I try out new products every once in a while that help clean out my laptop of unnecessary junk. One way of speeding things up on my PC’s is to clean the registry… now I am not that great at doing it by putting in “regedit” and removing stuff. In fact I have done that and messed things up. I have found some products in the past that work well. I found Crap Cleaner and Glary Utilities both work well, yet both seem to also miss things when I run my anti-spy programs. In fact, I have some great anti-spy products that miss things in the registry or finds the issue, yet does not remove it. 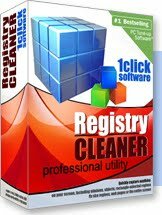 I recently was introduced to Digeus.com who have a product called, Registry Cleaner (Yeah, I know… not an original name but who cares if it works. I ran it once and found a entry I thought I had removed. None of the other programs found it. (If you have loaded eMule on your computer you know how hard it is to remove it.) In fact it came out with over 637 bad entries! I had just ran my Glary Utilities yesterday! You are currently browsing the archives for the digeus.com category.